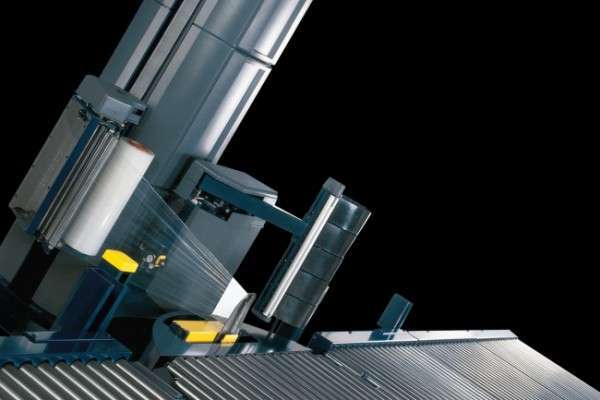 The Automatic Wrapping Machine S-4000 is the fastest overhead straddle wrapper. Also, capable of wrapping over 100 loads per hour. 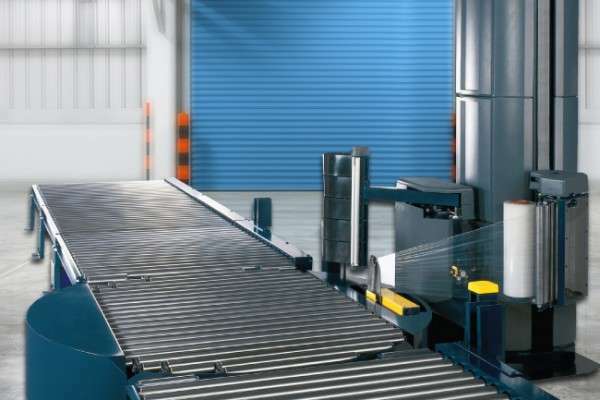 While the machine wraps a pallet at high speeds, it can quickly deal with unbalanced loads. Additionally, with lightweight, tall and any liquid or dry loads. 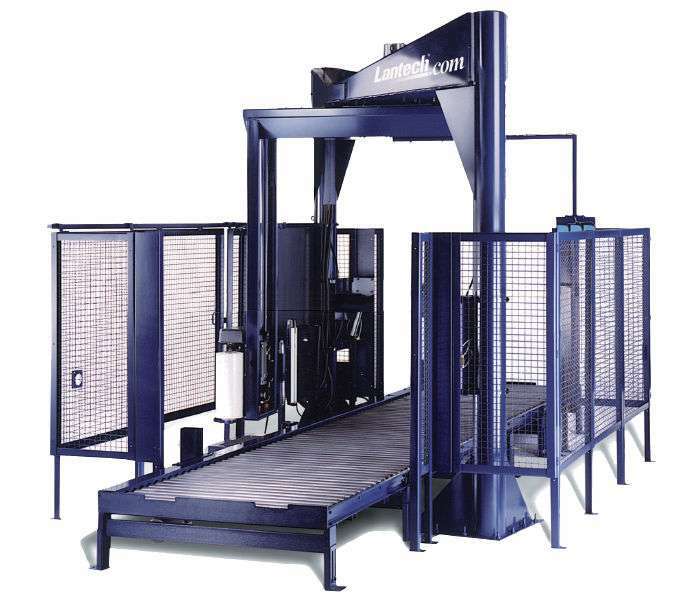 The automatic pallet wrapper is durable, simple and safe. Also, it is possible to add a Pallet Grip that locks loads to the pallet. Operators quickly and easily load the film. Safety rated light guards included. 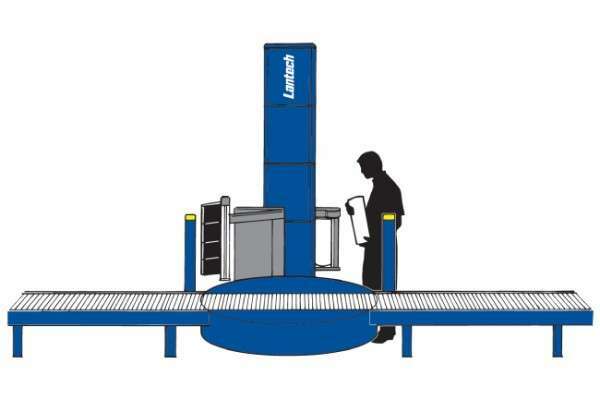 Industry leading automatic pallet wrapper with a 3-year unlimited-cycle warranty. Easy to navigate touch screen. Full access to load film. Fully guarded loading bay for the film. Motors and wires come hidden. Also, belts enclosed. No trip, burn or pinch hazards. Safe, unobstructed access to roll carriage for film loading from the side. Thus, this reduces health and safety problems in the workplace. The machine wraps 45 to 60 pallets per hour. 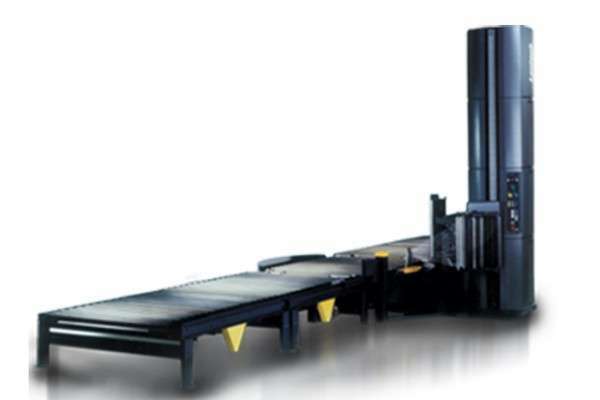 Industrial duty conveyor with closed-space rollers. Also, it has 4000 pounds capacity. Many options come available to custom build the machine. Thus, you can meet specific needs. Eliminate fork truck jamming problems. Transition photocells come mounted on either side of the turntable. Thus, this enables an easy access. During the wrap cycle when the photocell beam breaks, the machine will immediately shut down. They come with a complete system for guarding. Also, standard safety signage is available on all models. The cutter wire remains safely guarded. Also, becomes hot only when necessary. The length of time needed for heated impulse remains adjustable for film different film thicknesses and ambient temperatures. 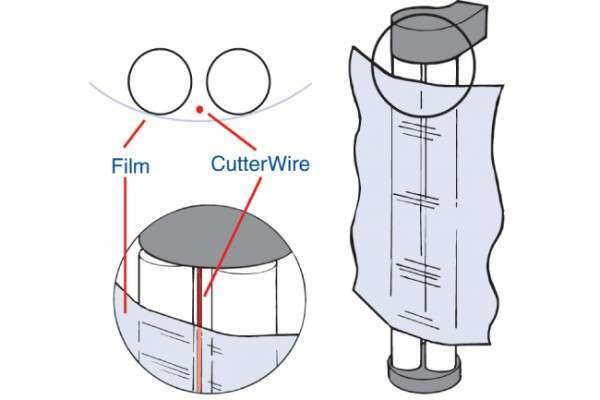 The cutter wire does not come into contact with the film. Hence, it eliminates film buildup on the wire for a clean, consistent cut. Increase the speed of the turntable machine up to 25 rpm. 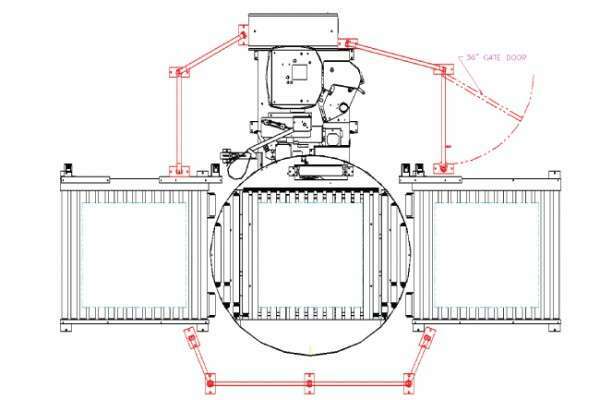 Increase the weight capacity of the turntable to 2721 kg (6000 pounds). It is possible to clean the turntable without affecting its functionality. Also, make sure that the water can drain from the area. Work in temperatures of -29 C (-20F). Operate in a corrosive environment. Moreover, it is for machines with exposure to agents such as salt and fertiliser. Increase the wrap height of your loads. Also, it replaces the 203 cm (80″) mast with a 279 cm (100″) or a 376 cm (140″) mast. The machine stabilises high, lightweight or unstable loads during the wrap cycle. The device eliminates the beginning film tail. Further, it replaces the jam clamp with a vacuum clamp that pivots out to the load.